Today Avid released Sibelius 8.2. As with other 8.x releases, it is a free update for all 8.x users with an active license (virtually anyone with Sibelius 8.x other than those who may have had a month-to-month subscription). Let’s dive in and check out the new features. It’s hard to believe that dynamic parts — parts which retain their relationship to the score in the same file, while allowing for formatting and layout differences — have been around for more than ten years, since the release of Sibelius 4 in 2005. Finale 2007 (released in 2006) followed with its similar linked parts feature, and the feature set between the two programs in this area has been generally comparable since that time. The two main advantages that Finale users had over Sibelius users in this area were voiced parts and the ability to spell a note independently in a part compared to the score. This is achieved quite simply by selecting a note or a passage of notes and pressing Return on the main keyboard (or, the long way, by going to Note Input > Note Input > Respell in the Ribbon). This works as it did before, of course, but the difference now is that if you respell a note while in the part, the spelling changes only for that part, and not for the score — or, for that matter, other parts that may be using the the same staff. The latter point is actually important. You might, for instance, have a band score that has a euphonium in concert pitch, and parts for both a euphonium and a baritone horn, which is transposed at the major 9th. It is possible now to respell a note in the baritone horn part while leaving both the score and the euphonium part unchanged. As demonstrated in the example above, it is quite easy to tell which notes have been enharmonically adjusted. They are turned orange, like other differences between the part and the score, if View > Invisibles > Differences In Parts is checked. 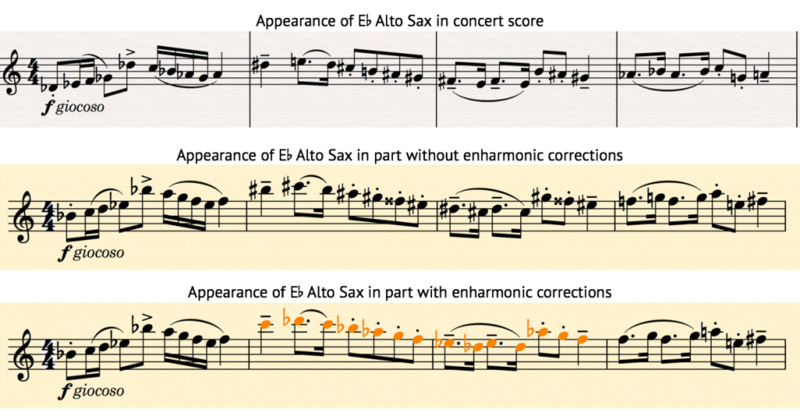 Notice how even the courtesy accidentals are correct in the last bar in all three examples above. Should you wish to reset the part to its original spelling, go to Appearance > Design and Position > Reset Design (shortcut Command-Shift-D on Mac or Ctrl+Shift+D on PC). Note that, if you use a plug-in such as Respell Sharps as Flats or Respell Flats as Sharps, the plug-in will not have the same effect as this new feature, even if you run the plug-in while in a part. Also note that when a Sibelius 8.2 score is exported to an earlier version, any enharmonically modified notes in a part will revert to their default state. For me, at least, this feature is the most useful engraving achievement in any of the Sibelius 8 releases so far, more so than even the magnetic rests feature. It’s not groundbreaking by any means — after all, it’s been around in Finale for nearly a decade — but it’s really the only improvement for which there has been no simple workaround (the only one I know of involves laboriously creating creative instrument changes in a part). It works as expected and is simple to use because it builds on how we already expect dynamic parts to work — kudos to the Sibelius team on introducing this feature. It’s debatable whether this qualifies as a new feature or a bug fix, but no matter, it’s an improvement. It’s long been a pet peeve for many a Sibelius user that, when creating a start repeat barline that coincided with a time signature (like commonly at the beginning of a piece), the barline preceded the time signature instead of the other way around. Bob Zawalich even created a plug-in, Move Time Sig Repeat Barline, to deal with this annoyance. Now, in Sibelius 8.2, the order of these items is correct by default. Importantly (and not trivially), importing and exporting legacy scores preserves the score’s appearance in all cases. When importing legacy scores created in earlier versions of Sibelius, the original layout of time signatures and repeats is maintained so that those scores look the same as before. If you want to update the placement of time signatures and rests in a legacy score, simply delete and reinsert those repeats. Likewise, you can export any scores with the new layout to an earlier version of Sibelius and it will maintain the updated repeat and time signature placement. Moving or “sliding” music horizontally (or vertically, for that matter) is a common workflow to those working with MIDI or audio in DAWs. In notation software, though, it’s not possible to do that. Sibelius 8.2 takes a first step towards making it easier, although the feature leaves much to be desired. The shortcuts for moving a selection left or right are Command-Option-Left Arrow (Mac) or Ctrl+Alt+Left Arrow (PC) and Command-Option-Right Arrow (Mac) or Ctrl+Alt+Right Arrow (PC), respectively. These shortcuts are automatically added even if you have a custom feature set in File > Preferences > Keyboard Shortcuts. The most basic example involves a single note or chord in a single staff. Invoke the shortcut, and the note slides over to the right. In the above example I think it would be better if Sibelius grouped rests back together and replaced the bar rest entirely. As it stands now there’s a fair amount of cleanup involved. The duration that the note slides is controlled by the denominator of the time signature (i.e., in 4/4 time, notes will slide by a quarter note; in 6/8 time, the notes will slide by an eighth note). The exceptions to this are if the selected note or passage are of a shorter duration than that note value, or if there are intervening rests that are shorter; in either case the note(s) will slide by the smaller duration. The concept of sliding notes and passages in time is interesting and, even with its current limitations, may be useful in certain conditions. The good news is that, being a workflow enhancement and not something that fundamentally changes the appearance of a score, hopefully the Sibelius developers can refine this tool to make it more useful in the future. Sibelius 8.2 will overwrite any 8.x version you have on your computer, but will leave other versions intact, unless you tell the installer to uninstall those versions. 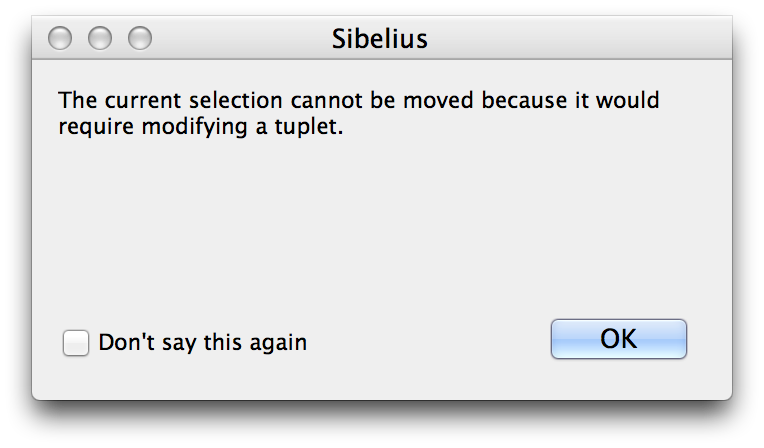 You also have the separate option of copying supporting files from Sibelius 7.5, if you’re upgrading from that version. If you have Sibelius 8.1.1 or earlier, you should upgrade to 8.2, and will be prompted to do so by the Application Manager. It’s free for most users of 8.x unless you bought a monthly subscription plan that has already expired. Sibelius 8.2 uses the same file format as Sibelius 8.1, which is welcome news. 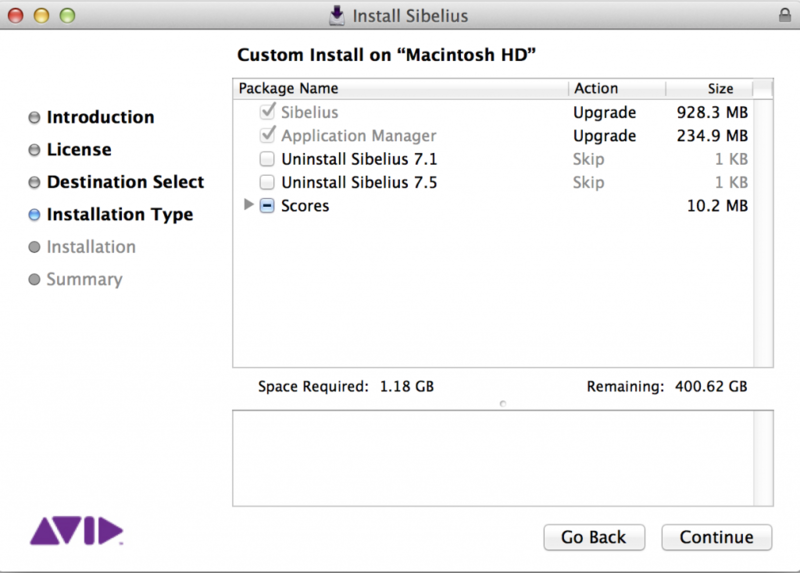 Sibelius 8.2 will run on any 64-bit system running Windows 7 or later or Mac OS 10.9 or later. Various purchase options, including subscriptions, perpetual licenses, and upgrades are available from Avid’s online store and other resellers such as Amazon and Sweetwater. Welcome features and enhancements, especially the enharmonic respellings. The “independent enharmonic spelling of notes in a part compared to the score” is the only improvement I like about this update. They should have finished the “sliding note” feature before releasing it. I can’t see myself using that feature…but then I never had the desire to move notes horizontally, and it will screw my lyrics up completely. We’ve already improved the slide feature so that it automatically cleans up rests as you move your selection. We’re demoing it in a technical preview of Sibelius 8.3 at MusikMesse this week. You can also make lyrics part of your selection and move them at the same time. The shipping plugin Combine Tied Notes and Rests (category Simplify Notation) will clean up the “fractured” rests – you can just use the “Rests” part of it. The plugin was written to deal with this very scenario of rests left behind after editing. It is not as good as having the program do it in the fly but is is a lot easier than doing it all by hand. I would occasionally find sliding notes useful, especially while composing. What I would really like, though, would be to have Sibelius change what happens when you increase the duration of a note. Say you have 2 quarter notes, and you really want a dotted quarter and an eighth. If you change the first note to have a dot, it will wipe out the second note entirely, leaving an 8th rest behind, and you have to recreate the 2nd note, assuming you remember what it was… I would really prefer it if Sib only removed the amount of duration from the following note that was needed by the first note. So if you dot the first note, change the next to an 8th note instead of wiping it out altogether. That makes changing to a dotted rhythm trivial whereas it is really a pain to do it now. It would be OK with me if it did what it does now if the following note was a tuplet, because those are hard to deal with, but I see no disadvantage to reducing duration rather than overwriting adjacent normal notes notes, and I think it would be very useful. But anyway, for now, check out Combine Tied Notes and Rests to consolidate fractured rests. @ Bob Z. “What I would really like, though, would be to have Sibelius change what happens when you increase the duration of a note. Bob, I totally agree. This is what I meant as well when saying “Let’s hope they complete this feature properly”. I second the motion! I do think that there is potential here if these types of issues can get sorted. If you like the sliding feature, I suggest you have a look at the Move Selection Left/Right Plugins which were posted in June of last year. They basically do the same thing but behave slightly differently. Notes and tuplets can be moved but are never split, so the duration moved is the smallest possible one that avoids this. Bars left with only rests are converted to bar rests in voice 1 and cleared completely in other voices. Most other objects, such as dynamics, chord symbols, lines, repeat barlines, rehearsal marks and lyrics etc can be moved independently. The code is quite slow if large passages are moved or if the score is very large, so the new 8.2 feature might be quite a bit faster. Kenneth, many thanks for reminding us of your nice plug-in. I came across the problem of notes being split when being pasted across the barline and remaining split thereafter when writing these plugins and avoided it by simply prohibiting any moves that split notes. I think it should be possible for the development team to add code that corrects this problem during any pasting operation. If a user pastes two tied quarter notes into the first two beats of a 4/4 bar for instance, then it would automatically be changed to a half note. This would work like the “Combined Tied Notes and Rests” plugin except that any options would probably contained in File>Preferences rather than a dialog that interrupted each pasting operation.